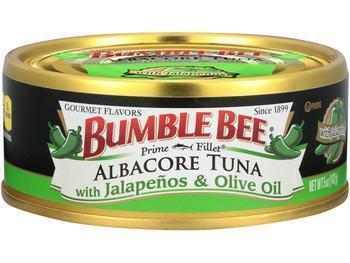 Bumble Bee buzzed around with other tuna packagers and retailers to keep the price of canned tuna high, according to court documents filed in a U.S. court in San Francisco. The criminal complaint has already cost Bumble Bee $25 million and now its rivals and alleged co-conspirators Starkist and Chicken of the Sea are being drawn into the case, thanks to a lawsuit filed by Walmart which alleges a long-lasting and wide-ranging effort to artificially prop up prices. In the San Francisco case, Bumble Bee pleaded guilty last week to fixing prices from at least 2011 to 2013. Two of the company's vice presidents also pleaded guilty to related charges, according to Courthouse News Service. The Washington Post reports today that Walmart is alleging the conspiracy was much bigger, and that it went on from 2010 to 2015. “We believe there is strong evidence that suppliers of canned tuna to Walmart conspired to artificially inflate and wrongfully fix prices in order to increase their own profits at the expense of consumers,” said Randy Hargrove, a spokesman for Walmart, the Post reported. Jill Irvin, senior vice president and general counsel for Bumble Bee said the company “takes this matter very seriously” and cooperated with the DOJ investigation “from the start,” according to Courthouse News. The irony in all of this is that the popularity of canned tuna has been steadily decreasing for years as American tastes have moved towards fresher seafood. Instead of working to rebuild demand, Walmart alleges that executives of the three companies met on a regular basis to agree on ways to keep prices artificially inflated. The giant retailer says that even though the supply of tuna rose and fell over time, the prices charged by the packagers continued to climb -- evidence, it says, of illegal collusion. The lawsuit says the companies also conspired to resist pressures that they work with Greenpeace and other conservation groups to label fish caught without the use of devices that can trap other species, like swordfish and sea turtles. Other retailers and a group of suppliers have joined a class action suit against Bumble Bee and other packagers. A hearing on that case is set for tomorrow in San Diego federal court.